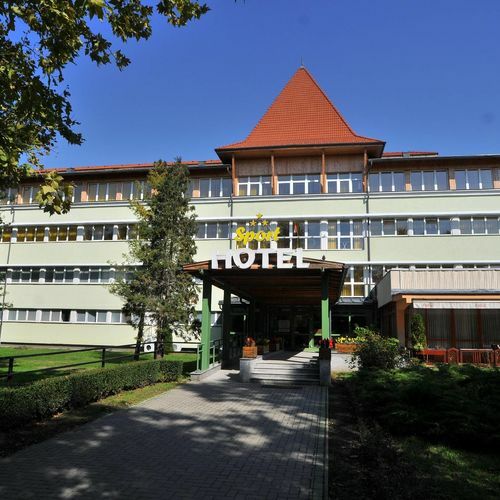 The Sport Hotel is located in the most beautiful part of Debrecen, in the heart of the Great Forest, in a quiet, peaceful environment, where our guests can relax. Due to its location, the downtown and the international airport of Debrecen can be reached easily. 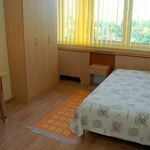 All the rooms are equipped with air-condition, bathroom (with shower), television set, telephone, minibar, and Internet access point (pets are allowed in room, but for medium and big dogs 3000 HUF / pet / night fee chargable). The Hotel is also equipped with 2 conference rooms (for 30 and 50 people) suitable for different conferences and other business or recreational purposes. Our restaurant provides traditional Hungarian and other international cuisine. The guests can use the following services: closed parking (free of charge), fitness centre/gym, and solarium. Pets are allowed, but chargeble (10 EUR per night per medium and big pets). Close to the Hotel, there are many different places for amusement, like the Thermal Bath Nagyerdõ (famous for its therapeutic services), the all year open Aquaticum Mediterranean Amusement Bath, a lake for boating (called "Csónakázó tó), the Zoo with the Amusement Park, and the most modern playground of the city. Our sports-grounds give great opportunities also for active relaxing. 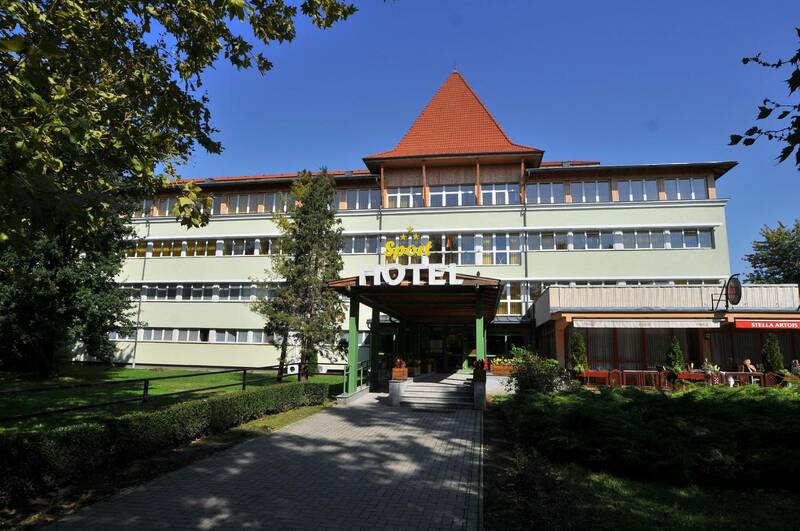 The rating of Sport Hotel Debrecen is 9.1 from the maximum 10, 304 based on actual and valid guest ratings and reviews. "A fürdőszoba tisztasága nem volt kifogástalan, szemetet nem ürítik naponta. A szobába nyitott ablaknál bejön a vendéglő ételszaga, az elszívó zaja is erősen hallatszik." "Tetszett, hogy van felszerelt konyha a folyosón, kár, hogy nem lehet leülni benne étkezni is. Székek és asztal helyett két masszázsasztal foglalja a helyet egymásra borítva.😕 Ezzel együtt ajánlom a helyet másoknak is." "Tökéletes volt, 1 éjszakát töltöttünk ott." "Nem szóltak, hogy a helyi fürdőbe tudnak kedvezményes jegyet adni, így 2 jegyen 5000 ftot vesztettünk. Pedig a portán kértünk útbaigazitast hol található. A reggelivel volt még gondunk, de azt a kedves utolsó napi recepciós hölgy orvosolta."